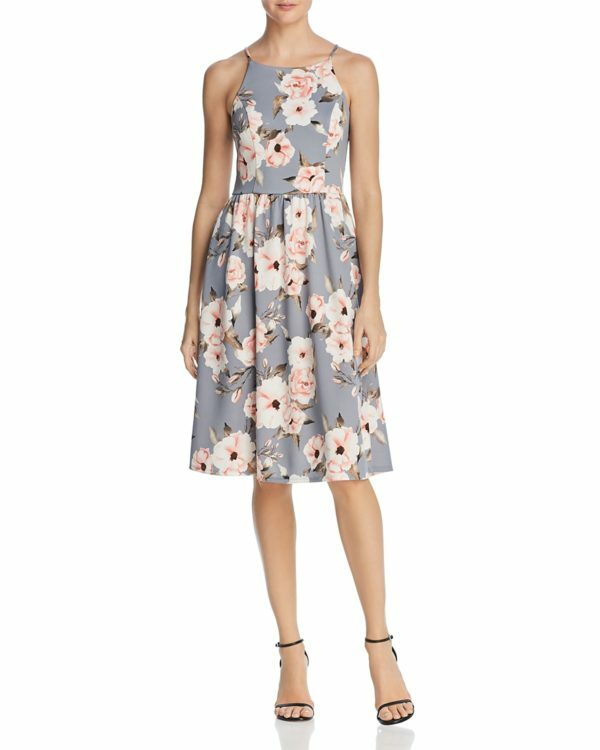 If you have a jam-packed social calendar this season, you’ll want to prep your wardrobe with some stylish spring dresses. 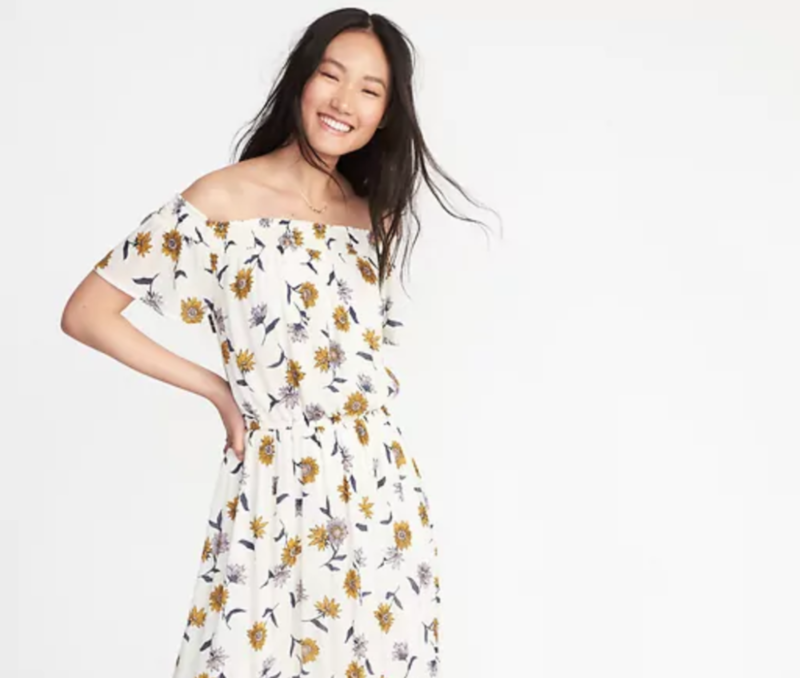 Whether you’re looking for an Easter dress for brunch with the family, or you’re attending a spring wedding, these styles are perfect for any event. Nordstrom just launched a new women’s collection under its 1901 line. You’ll find a great selection of easy, breezy spring dresses. 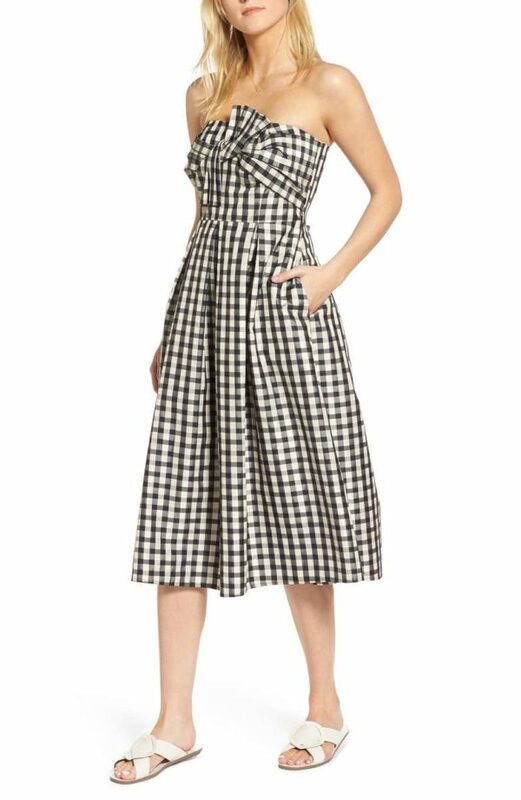 Gingham is a quintessential spring pattern, and it’s trendier than ever this season. You can wear this strapless dress to an outdoor wedding or graduation ceremony. Did we mention it has pockets, too? The fit-and-flare silhouette is a universally flattering look for just about everyone. Pair this high neck dress with some wedges or block heels and you’re ready for a garden party. You can’t deny that polka dots are just plain cheerful. This navy dress is so easy to thrown on with a pair of mules for dinner or brunch with friends. The elastic tie waist is both flattering and comfortable. This one is Reese Witherspoon-approved. It’s perfect for springtime or summer weddings, with its bright green color and lace detail. Show off your flirty side with an off-the-shoulder design. This pretty cream floral dress has a defined waist and has a flowy fit throughout. Wear this to a backyard barbecue, picnic, or Easter brunch. You can’t go wrong with a classic wrap dress—and double points because this one is vibrant, fiery red. Dress it up for a special occasion with statement jewelry, or pair it with a trench when it’s time to head to the office.